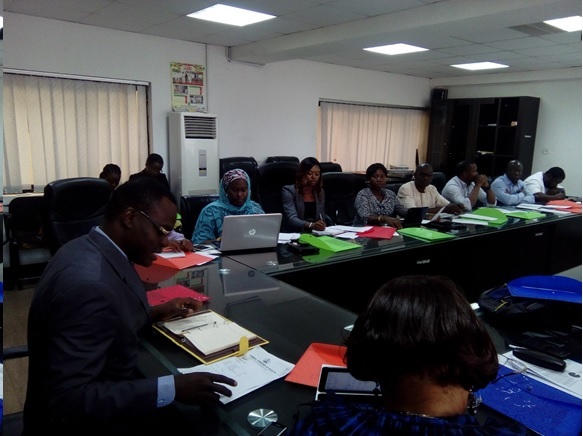 Civil Society-Scaling up Nutrition in Nigeria, CS-SUNN is to work in collaboration with other relevant stakeholders to review Federal Government’s Maternal and Infant Young Child Nutrition Strategy. CS-SUNN by led Project Director, Mrs. Beatrice Eluaka is to join efforts with other relevant stakeholders to assess the National Strategy for Maternal and Infant Young Child Nutrition developed by the Federal Ministry of Health to ascertain it meets priority areas ahead of its validation slated for April 20th 2017. At the FMOH’s IYCF Taskforce meeting recently in Abuja, Director Nutrition Department of the Federal ministry of Health, Dr. Chris Osa Isokpunwu said the Strategy intends to re-invigorate MIYCN efforts in Nigeria and to build on lessons learnt from effective MIYCN partnerships that are currently in place. To promote and strengthen research, monitoring and evaluation. Furthermore, CS-SUNN is part of team to evaluate Policy advocacy briefs developed by Alive and Thrive which addresses three key issue areas of IYCF in Nigeria; Expanding Maternity Protections in Nigeria, Findings from the Lancet Breastfeeding Series and Exclusive Breastfeeding. The briefs carry key messages directed at policy makers, partners, private sector, health care workers programme makers amongst others aimed at scaling up IYCF practices in Nigeria. At the IYCF Taskforce Meeting, a Draft Joint Statement on IYCF-E in Nigeria was presented for stakeholders to review. Dr. Chris explained that organizations working in emergency areas are to sign-onto the statement when the final is version is out. One key action point of The Infant and Young Child Feeding in Emergencies (IYCF-E) Joint Statement is to prevent unnecessary illness and deaths in Nigeria by checking uncontrolled distribution and unnecessary use of breast milk substitutes during Emergencies. This means that there will no longer be direct distribution of BMS but a controlled distribution which will be handled by appropriate regulatory agencies. Meanwhile, the Federal Ministry of health is working towards incorporating CS-SUNN’s 2017 2ND AND 3RD quarter activities (including that of other relevant organizations) that speaks to IYCF into her 2017 activities to attain a Nigeria that is IYCF-compliant. CS-SUNN is confident that with our presence at the IYCF taskforce, we will fast-track PACFaH’s goal of increased implementation of the National Food and Nutrition Security Plan of which IYCF is a major component at the National and three focal states.